There should really be a “Home” button at the bottom or top of the browse list, so that one doesn’t have to drill all the way back out of a deep menu level. We implemented this feature in Build 7 along with a few other changes and stability fixes. You can download the newest version of our modules at http://kb.roonlabs.com/Crestron, and the user guide is at https://download.roonlabs.com/crestron/Roon_Crestron.pdf. I had mentioned in another thread about the “problem” with putting the modules in the project folder and that the modules names are not all prefaced with “Roon”. Please add that they are also not re-visioned in their file names either; which is really bad practice. Generally speaking, checking the link to our Crestron builds page (http://kb.roonlabs.com/Crestron) will be your best bet at this time. While I agree it would be a good feature to have, we currently do not have a way of automatically notifying users when a new release is out right now. I have forwarded your suggestion to my coworkers and we will discuss on how a notification system could possibly be set up in future releases. Please give the updated module a go and let me know how it goes! I wanted to know that is this possible to connect this with the iPad. Is it compatible to the ios devices or MAC OS. I really want to try that on my ios device. I will also contact Apple iPad support to know more details of connecting it. I am not sure I quite understand your question here, this topic is regarding our Crestron module which you can use the Crestron “silver” app to access Roon from. Are you making use of a Crestron system and have our Crestron Sample Module loaded on it? If so you should be able to set the correct iPad/iPhone IPIDs in the Crestron Silver Configuration page and connect to the Roon module that way. 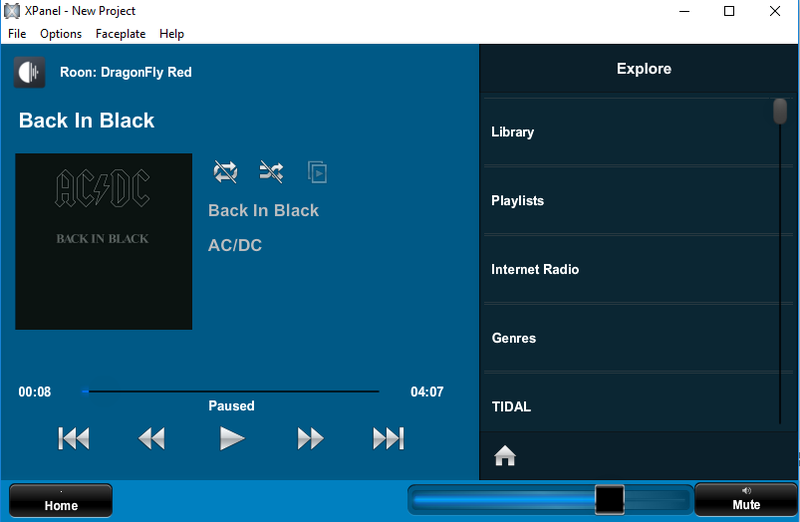 On both iOS and Mac OSX we have a full Roon App and you can use the Roon Remote App to control Roon if you do not have a Crestron Home Automation system, links to the Roon Remote Apps on iOS and OSX can be found here.